Denny Jump (Bellevue, WA, United States) on 11 September 2018 in Architecture. There aren't many adjectives that can apply to a massive hall like this. Quite Honestly, this picture does little justice to the vastness of this particular area of the Capital interior....If I ever print this image, I will probably send it out and have it printed in a minimum 18x24 Photo. It was great fun to stand up on this third floor and simply gaze down upon this majestic interior. 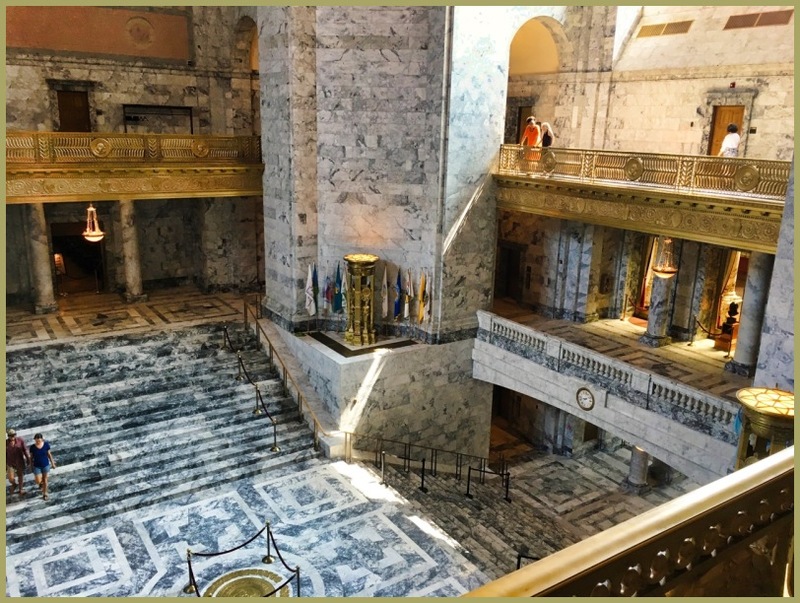 the Washington State Capital in Olympia, Washington deserves a Great amount of congratulations and credit for the magnificent job they have done on the interior and exterior architecture and construction they have lovingly completed on this wonderful Capital and all of it's buildings and Monuments. This Concludes the series of images I have presented displaying the Washington State Capital in Olympia, Washington, USA. Yes, often difficult to convey scale in an image but I do get it from the figures here . .
@beach: Yes, Thank You, it is a Beautiful building inside and out! An incredible interior view indeed. Your addition of people here and there really brings it home. The series gives a good impression though. And the angle you shoot this photo is perfect! A lovely light filled interior! The Capitol is a magnificent building. @Steve Rice: It certainly is magnificent! I absolutely Love this Capital - all go it!! What an incredible interior that you've captured beautifully!! The scales is massive! Excellent composition Dennis with great detail and scale once again. I am enjoying this look inside the Capital.